Natasha is dating a submariner, and honestly, I don’t know how she does it! She and I were dealing with deployment the same time– our guys actually came home within days of each other. But hers is already gearing up for another deployment. Natasha is a strong, strong woman. My hat is off to her! They don’t call it the Silent Service for nothing – keeping in touch with a submariner is hard. I hear other branches have these magical things called ‘morale tents’ where s/he can go to message or Skype with friends and family members. There’s no morale tent on a submarine, no way to FaceBook chat or Skype with someone underway on a boat. So how do you keep in touch? It is possible to stay in touch with a submariner, it just takes some planning, effort, and a bit of understanding. It was difficult at times, but we managed to emerge from an eight month long ‘six month deployment’ stronger than when he left, and communication was key. You can actually send mail to someone on a submarine, it just might take a while to arrive. Letters have a better chance of making it than packages – they sometimes don’t get packages until after they’ve returned from deployment! They do receive mail when in port, and sometimes when they meet up with other ships at sea. If you want to send mail to your submariner, make sure you have the ‘address’ before he leaves because it may not be possible for him to email it through his secure email. (I’m not discriminating by saying ‘he,’ but there are only a very, very few number of ladies on submarines and typing s/he gets cumbersome!) If you send a card or letter, you can use a regular stamp. If you mail a package, the postage doesn’t cost anything extra, but your will have to fill out a customs form. Don’t forget it or your package will end up back in your mailbox, not with your sailor! Because mail delivery is uncertain, I planned ahead and sent cards with him when he left on deployment. I knew he would be gone for Thanksgiving, Christmas, New Years, Valentines, Easter, etc., so I bought cards ahead of time. I wrote him notes, dated the envelopes, and then put them all inside a larger envelope with a different, earlier date on it to at least keep him guessing for a couple of extra weeks. I also included a random, encouraging card with ‘whatever day you need it most’ written on the outside. I know from working in a gift shop that sold cards that many card shops keep out of season cards in store, just not on display. If you talk to store employees and explain the situation, they’ll probably help you find the holiday cards you need. When I picked up cards last October, the folks at the store actually just gave them to me after I explained what I was doing! You can email with your sailor while he’s underway, but you have to email his secured email address. When they’re actually on deployment, someone reads this email and can censor it before passing it along. Sometimes this can take a couple of days, but other times it happens pretty quickly. If your email is edited, you will get an automated notification with the edited text in an attachment. I never had any real problems with editing, but I didn’t discover quickly that automatic signatures added by your email program seem to cause a problem. When I started deleting these email signatures, I stopped getting editing notifications. Now that we’ve covered planning and effort, here’s where the understanding comes in. Your sailor may not have the time to check his email on a regular basis and, even if he does, he may not be allowed to respond for up to weeks on end. There are times (and they can’t even always warn you when they’ll be!) when they can receive emails but not send them. It can be frustrating, annoying, and downright lonely, but remember that he is probably incapable of responding if you don’t hear back for a while. Also remember that he can read your messages and keep them coming, even if you know he can’t write back for a few weeks. I wrote my man every single day of his deployment, even if the email was short and simple, and he told me time and again how much receiving my emails meant to him. You also need to exercise understanding whenever you’re feeling frustrated. Whether you’re upset because you haven’t heard back from him and need advice or assistance or are on the verge of tears because their homecoming date was changed yet again, remember that your sailor has no control over the situation. If you feel hurt, imagine how he feels knowing he’s causing your unhappiness and has no power over the situation. Whenever I was having a particularly bad day, I always reminded myself that at least I could take a walk outside to see trees and hear birds, a luxury my man didn’t have. I know from talking to him later that every time the boat was delayed, all the guys on board were at least as unhappy as the ladies waiting. By not taking your frustrations out on your sailor, you can help ensure he’s looking forward to seeing you and help keep him in a better mood while they’re away. 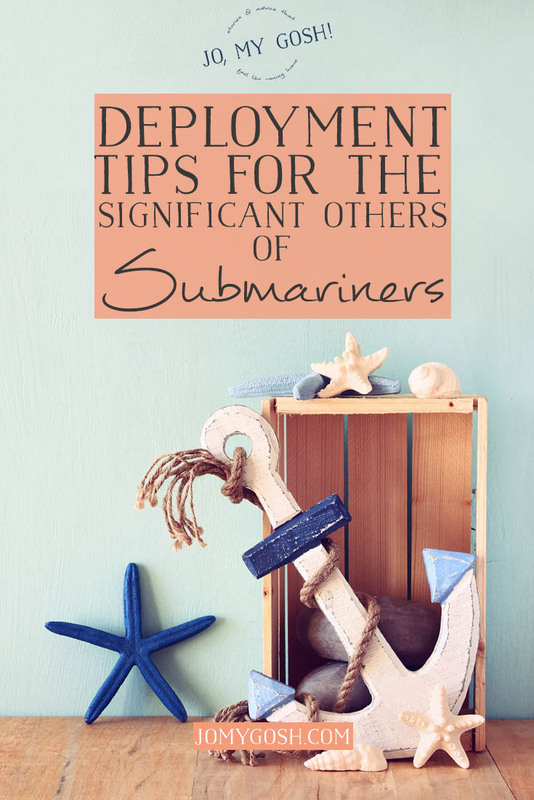 Keeping in touch with a submariner who’s on deployment is difficult, but it is possible. I’m thankful I live in a world with emails and even the possibility of hearing from him while he’s gone – a privilege so many with loved ones in the Navy have not enjoyed over the years. When a submariner you love is preparing to go on deployment, just remember to plan ahead, put in some effort, and show understanding and you’ll both have a far better experience. Hi, I’m Natasha! I love creating things! This fall I’m busy student teaching, trying to get ready for the holiday craft fair season, and counting down the days until I’m back with my sailor. Check out my Etsy shop and blog, The Artisan Life. I am currently dating a Navy Submariner and during his first deployment we didn’t have any troubles communicating, I got the edit notifications from the Navy servers and he got all my emails. But this time I’ve sent multiple emails and i haven’t received and edit notification. Does that mean he’s not getting my emails? I have checked multiple websites but no one had an answer for me. Please help! If it helps, as FRG president, I always told my families “no links, photos, or html, and to send their emails as ‘text only’.” Text only is an option usually seen as a check box at the top of, or under the part of the webpage where you type the body of your email. If you use your phone a lot, like me, I think it’s an option in settings. It saves a lot of bounced back emails. The joke amongst the sub community is that you’re sending messages to a broken system. You get used to it, I promise. If you aren’t getting edited message notices or emails from your sailor, don’t worry. The boat may not have come to the appropriate depth to retrieve or send messages, they could be “running silent” or just running lots of secret squirrel tests. Sailors get busy, depending upon their job on the boat, mines a nuke, I know he’s busy, but that doesn’t mean I don’t write every single day (date or number them too, so that he can read them in order) finally, your sailor could just not be a good communicator or have nothing to say (sorry). Ask one of his friends to have him check in so you can stop worrying if you know other families are getting what I call “love letters from the deep”. Melissa – be very careful when discussing your sailor’s return date, these timeframes are super sensitive and if discussed publicly can disrupt the boats schedule. If you have questions about homecoming, you should contact your command’s ombudsman. Also, it is not uncommon for email to break or to go weeks or months without hearing anything from your submariner! This is a lifesaver! I’ve read this post like once a week for the last 4 mo and it helps me get through and try to understand the military/dating lifestyle. The relationship with my submariner is intense and rewarding (but so difficult too). We are facing our first ~3mo deployment. I’m trying to keep it together as best I can. 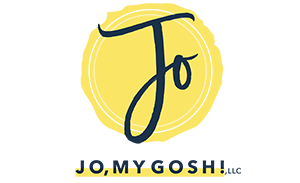 I’m so grateful for this blog and this post specifically. It’s easy to feel alone if you don’t live near base and don’t have prior knowledge on this stuff! I’m dealing with a Navy Sailor.. it’s frustrating! But reading this helped me a little or I should say a lot better.. Hecseem ya enjoy my emails.. Some responses are clear enough for me to make that statement .. But he hadn’t told me.. Yes he misses my cooking as stated in a email.. Amd I simply can’t wait to have dinner with him again..
I’m a Navy Veteran as well as was married to a guy in the Navy. He was on a ship, that was simple. I am now after MANY years dating a submariner. OMG, it’s so hard! He’s only gone for 3 weeks right now, then home for a week and out again for a month. But, he’s not responded to any emails. At first I thought “well, I guess he doesn’t miss me”, but now I know that’s not the case from reading your page so THANKS so much for posting this!! I can’t imagine how it will be next year when he’s on deployment. I know exactly how hard that is! My submariner seems to average about 1 email a week and says he really looks forward to reading mine. It’s very hard but extremely worth it! We are at the tail-end of his first 3 month deployment. This year is going to be super rough- lots more being away than being home. We were fortunate enough to be able to do a mail drop and a 1/2 way care package (which I didn’t know was possible with submariners!) Deployment is rough but it thankfully ends. I recommend surrounding yourself with positive friends and family and reading some of the good advice articles on here. Well I sent a text to my man just for the fun of it, he is underway right now. And it said it was “delivered”. Which is strange because I know their phones aren’t turned on while deployed. Can someone please respond and tell me what I should do? I think he’s not underway. I know I sound crazy but he’s here for a few weeks then “underway” for two weeks off and on. It’s just very weird. We have been dating for 5 months now. UGH…i think i’m not the only one he’s seeing..and honestly i think he’s here, not underway. Everything you are feeling is normal.. As this is new to mee as well just be patient during this duration.. I work out everyday and I make sure I email 3-6 small emails a week.. I receive 3-6 little replies and I’m grateful.. Hang in there. Keep a place in his thoughts as you write him.. And whatever you, don’t give up.. Talk positive and be creative inemails when you can.. I create my topics base off of Gym and with that being said he’s doing lots of working out as I am here and it’s becaone it’s own community with my co workers and new gym people.. I don’t know what stage of separation to expect next. We have holidays booked for September and Christmas to look forward to they just seem so distant at the minute! We can only send 120 words which isn’t much at all once a week according to the deployment file or are they not as strict as they make out and you can get away with maybe one more :)? I’ll try make him laugh with the words allowed hopefully it works! My “boyfriend” has been underway for 4 months but before that we were off and on for almost 3 years . Before he was deployed we began talking again and he proposed to me over FaceTime before he left . I told him I’d need a formal proposal in person when he gets back but until then he sent me a promise ring . Throughout his deployment I emailed him almost everyday updating him on me and his family . When he finally came back we texted and planned for me to come down to spend time with him so he took leave for two weeks and I’ve been here with him for 9days now . I’m sending this because ever since I got here it seems as though he has changed … idk if it’s for the worst or better but the connection we had over email and texts and phone calls isn’t there anymore and I’m really worried . I love him . I really do and like I feel I’d be lost without him however idk if the changes we’ve endured pushed us apart or is supposed to belting us closer . We talked about these feelings last night and decided to see how the rest of the week will go and talk again before I leave but I’m really scared . Every day has been filled with petty arguments and disagreements… these were the reasons we were off and on in high school because of stupid things like this … I’m so worried I’m loosing him . I never know what to say anymore or how to react or how to start conversations… I just need some advice . Do you have any tips or tactics for me and my submariner ?? I’m new to this but my sailor friend has been top notch a good good friend whom I adore from this side of our world..